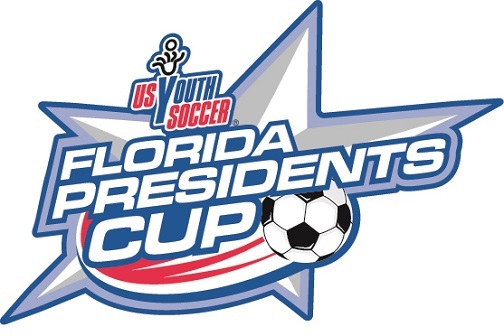 The Florida Presidents Cup, proudly sponsored by Publix, is designed for those teams seeking additional challenges to play against teams of similar abilities for a national title. The cup provides a progressive, competitive experience to teams that might not otherwise get the opportunity to participate in a series of unique experiences highlighting competition, camaraderie and community from the state to regional to national levels of US Youth Soccer. State office coordinates all schedules for the Florida Presidents Cup. Winners move onto Southern Presidents Cup. Winners of Southern Presidents Cup advance onto National Presidents Cup.